TravStar1 Point Of Sale SystemRegister Manual Gas TransactionsHow Do I Stack an Authorization on a Dispenser? How Do I Stack an Authorization on a Dispenser? This lesson will teach you how to stack an authorization on a dispenser. When fueling is completed the dispenser icon will display a flashing $. 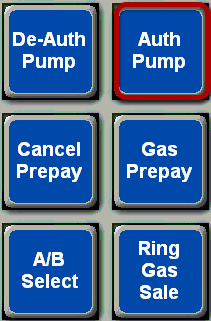 To stack an authorization on top of this sale, touch the dispenser icon to select the pump. Touch the "Auth Pump" button. Notice that there is now an S on the dispenser icon, indicating that there is an additional authorization stacked on this pump. Prev: How Do I Ring a Fuel Transaction Once It Is Complete? Next: How Do I Ring a Stacked Sale from a Dispenser?